The Witchcraft Reader offers a wide range of historical perspectives on the subject of witchcraft in a single, accessible volume, exploring the enduring hold that it has on human imagination. The witch trials of the late Middle Ages and the sixteenth and seventeenth centuries have inspired a huge and expanding scholarly literature, as well as an outpouring of popular representations. This fully revised and enlarged third edition brings together many of the best and most important works in the field. It explores the origins of witchcraft prosecutions in learned and popular culture, fears of an imaginary witch cult, the role of religious division and ideas about the Devil, the gendering of suspects, the making of confessions, and the decline of witch beliefs. An expanded final section explores the various "revivals" and images of witchcraft that continue to flourish in contemporary western culture. 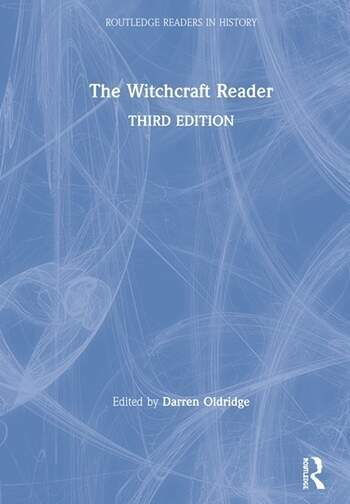 Equipped with an extensive introduction that foregrounds significant debates and themes in the study of witchcraft, providing the extracts with a critical context, The Witchcraft Reader is essential reading for anyone with an interest in this fascinating subject. Darren Oldridge is Professor of Early Modern History at the University of Worcester. He has written extensively on religion and belief in the sixteenth and seventeenth centuries. His most recent publications include The Supernatural in Tudor and Stuart England (2016) and Strange Histories (2nd ed. 2018).